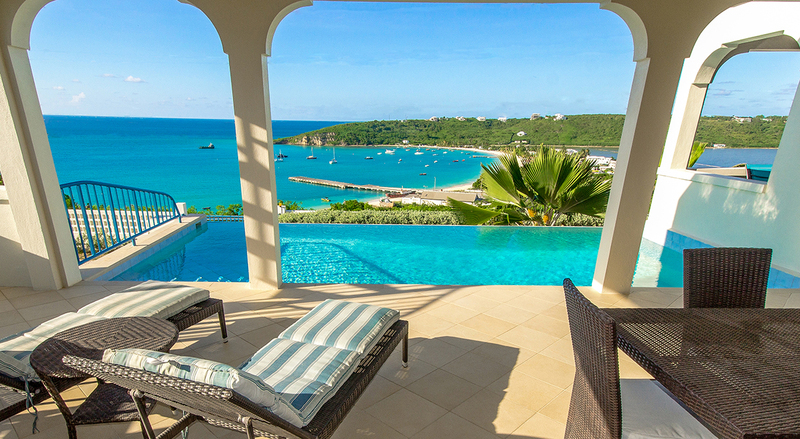 featuring the iconic, most photographed scenic view of Anguilla. Anguilla, a leading destination in the Caribbean by Conde Naste Traveler. 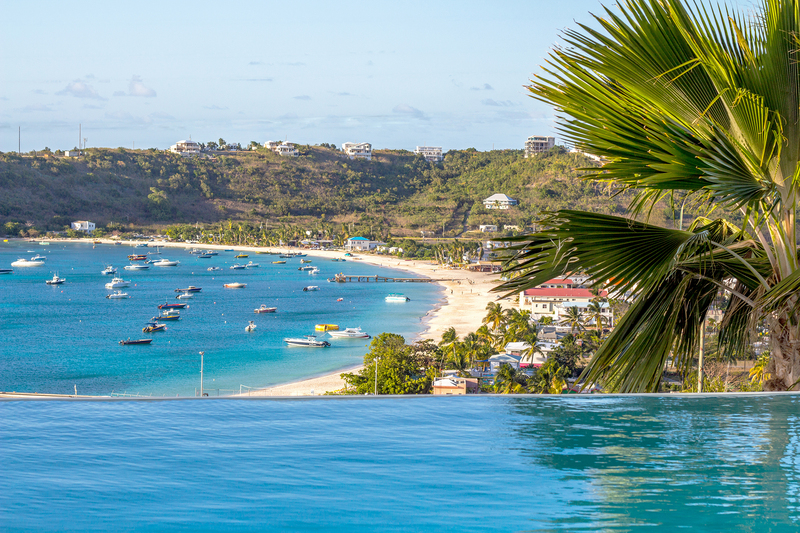 Anguilla is a flat, low-lying island of coral and limestone in the Caribbean Sea, east of Puerto Rico and the Virgin Islands. 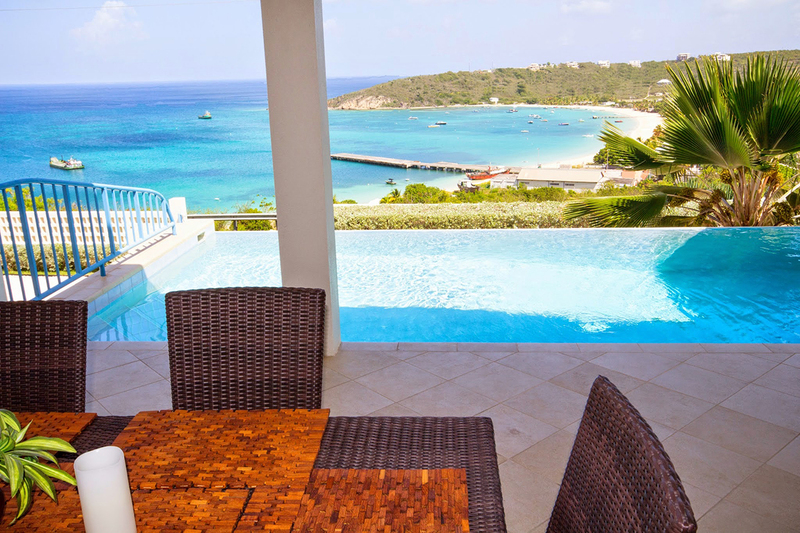 The territory is noted for its spectacular coral reefs and beaches and consists of the main island of Anguilla itself, approximately 16 miles long by 3 miles wide at its widest point, along with a number of other smaller islands and cays, mostly tiny and uninhabited. 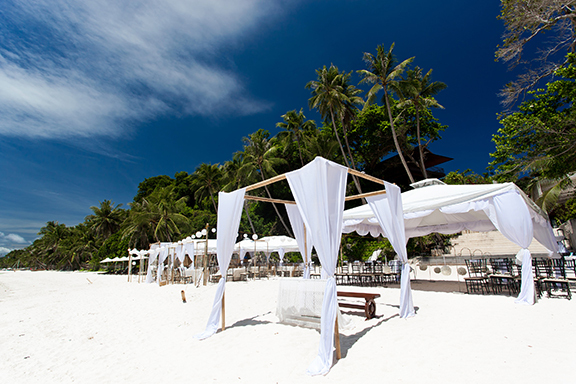 Northeastern trade winds keep this tropical island relatively cool and dry with an average annual temperature of 80°F. 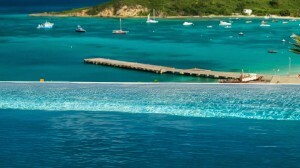 Anguilla boasts 33 of the world’s best beaches known for their pristine white coral sand and clear turquoise blue water. Boat racing has deep roots in Anguillian culture, and is the national sport. 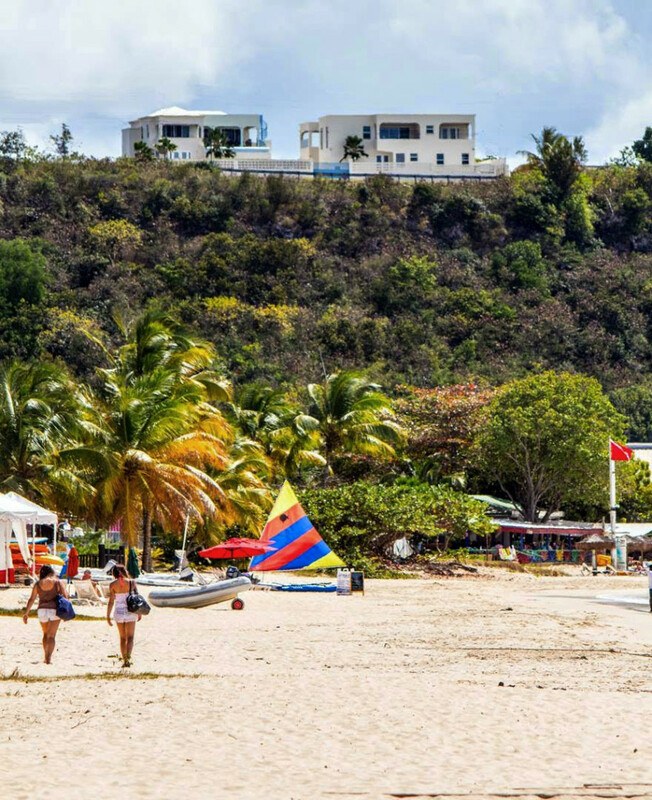 There are regular sailing regattas on national holidays, such as Carnival, which are contested by locally built and designed boats. 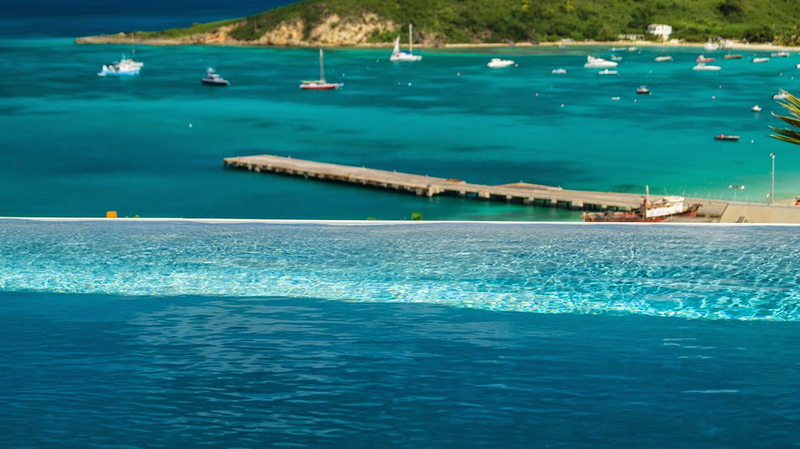 These boats have names and have sponsors that print their logo on their sails. Come and experience beauty and tranquility of Anguilla. This modern 3BR/3.5 BA resort home features breathtaking 360 degree views and a spacious upper level lounge which rolls seamlessly into the pool deck and infinity pool that appears to melt into the sky above and Sandy Ground Bay below. 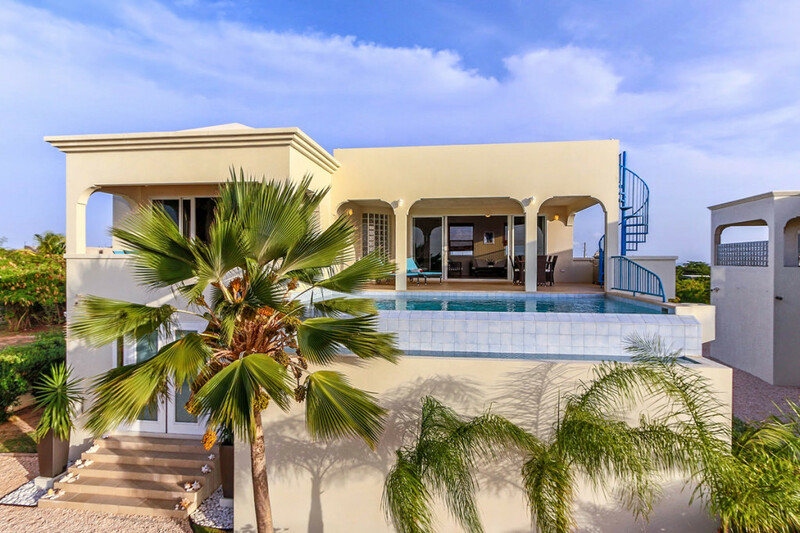 Take the winding spiral staircase to the third level observation deck, perfect for private sunbathing and watching the sunset over the calm waters. 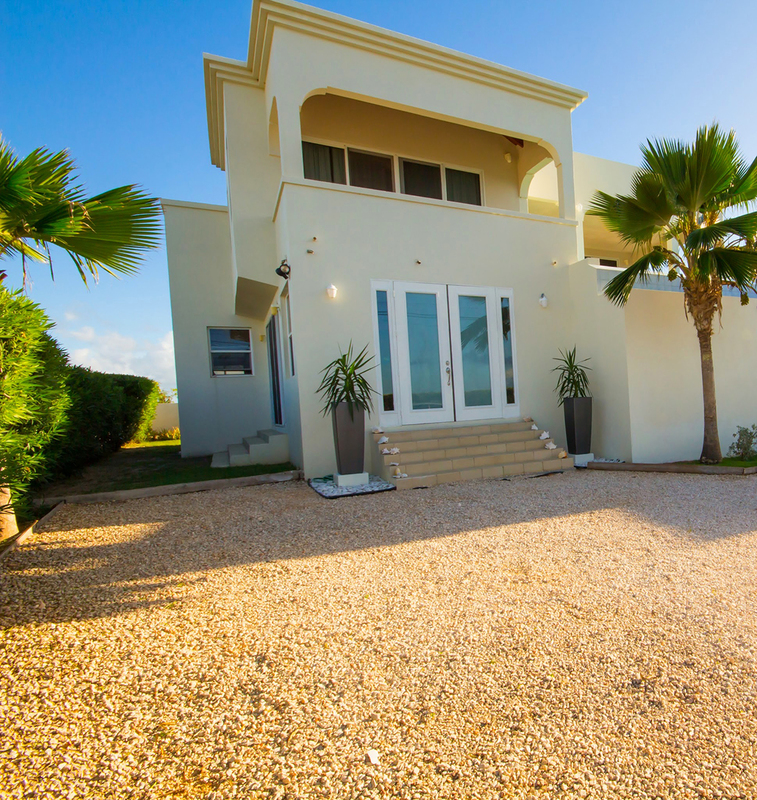 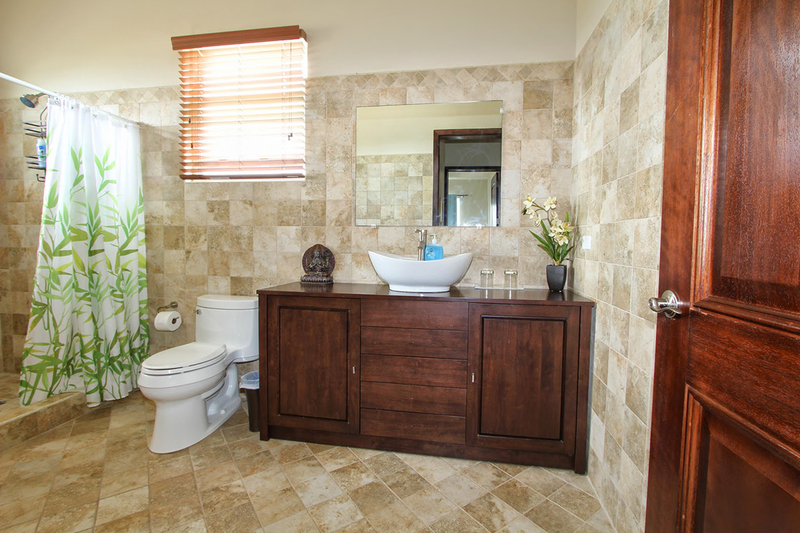 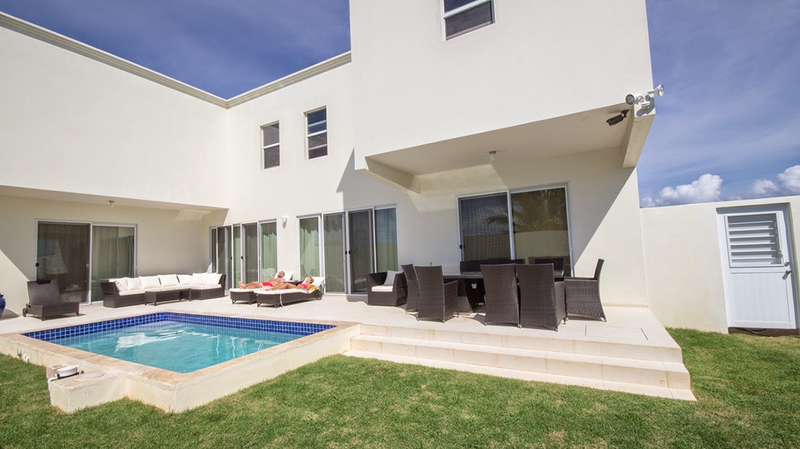 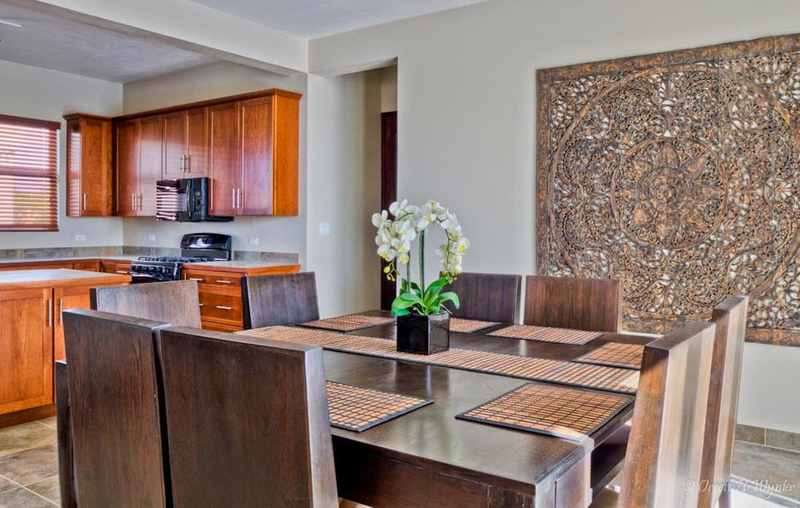 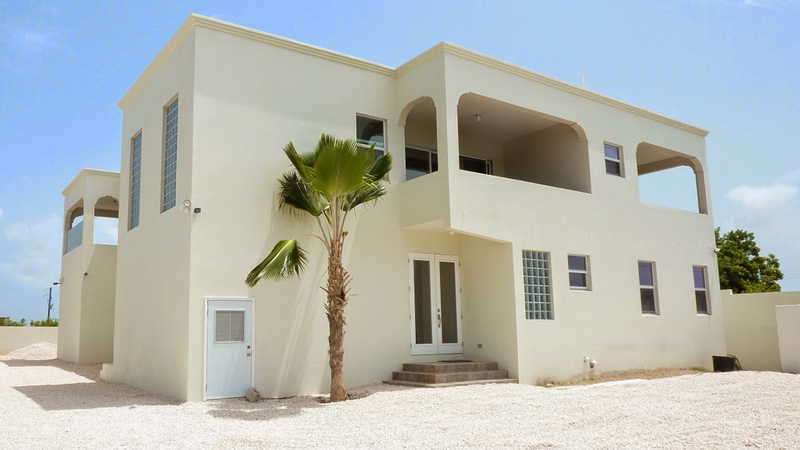 This contemporary 4BR/4.5BA resort home features a unique modular design that can accommodate many living configurations. 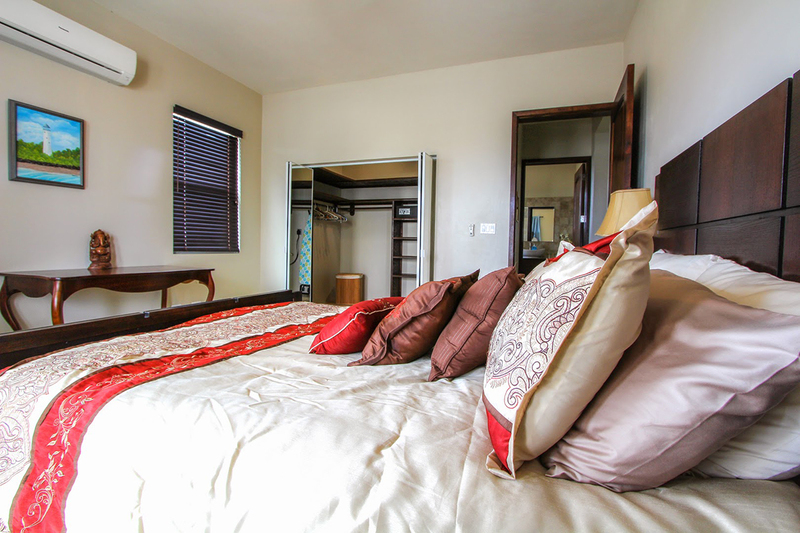 Each floor has two spacious bedroom suites with their own kitchen and living room areas and private entrances to create 2, 2- bedroom living spaces or a 3- bedroom home with a separate upper level penthouse apartment. 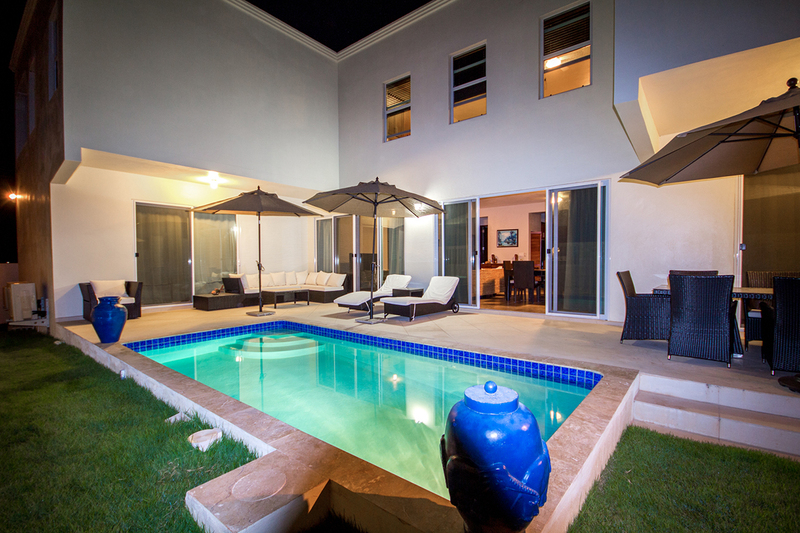 An inner courtyard includes a heated plunge pool, gas grill and ample space for sunbathing and dining poolside. 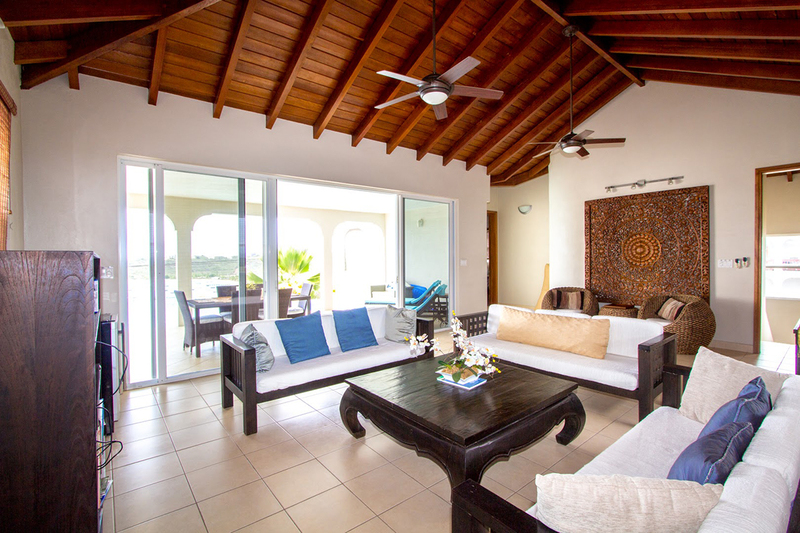 Expansive decks off of the master bedrooms upstairs offer 360 degree views and ample space for private lounging and dining while watching the sailboats come and go and the stars twinkle at night. 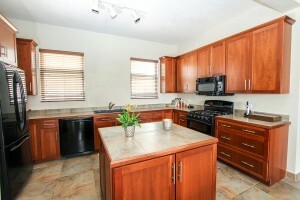 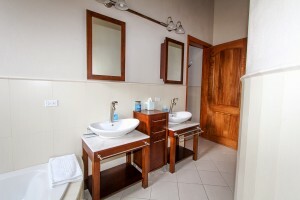 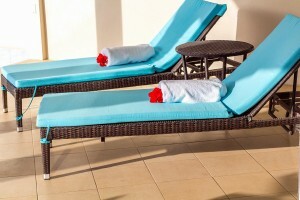 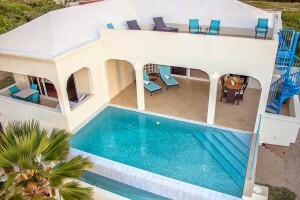 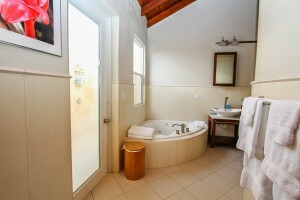 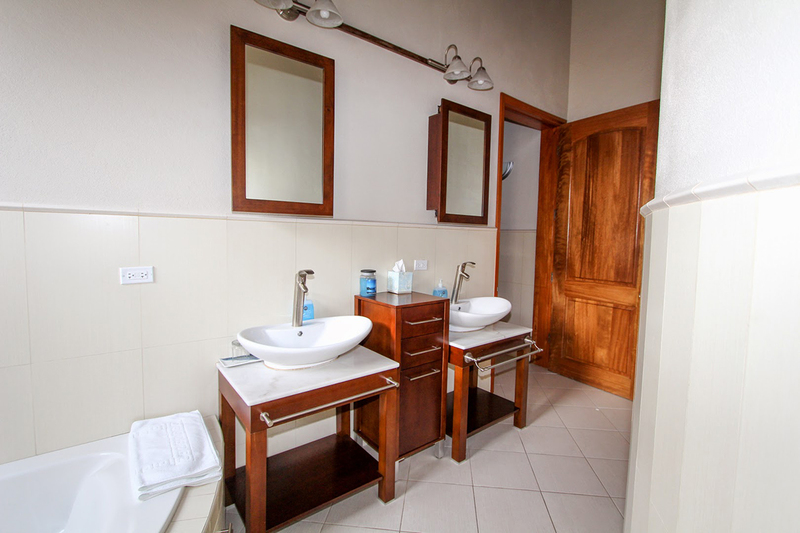 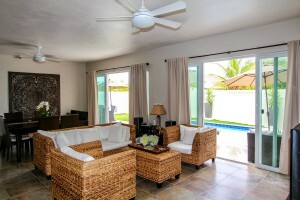 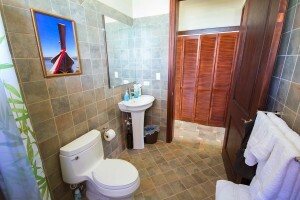 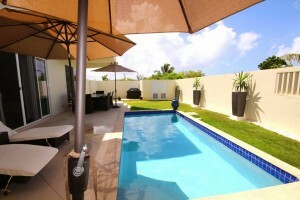 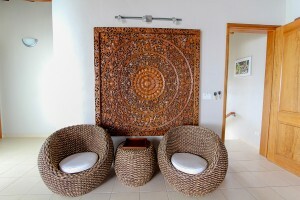 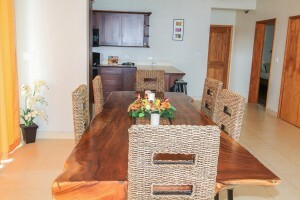 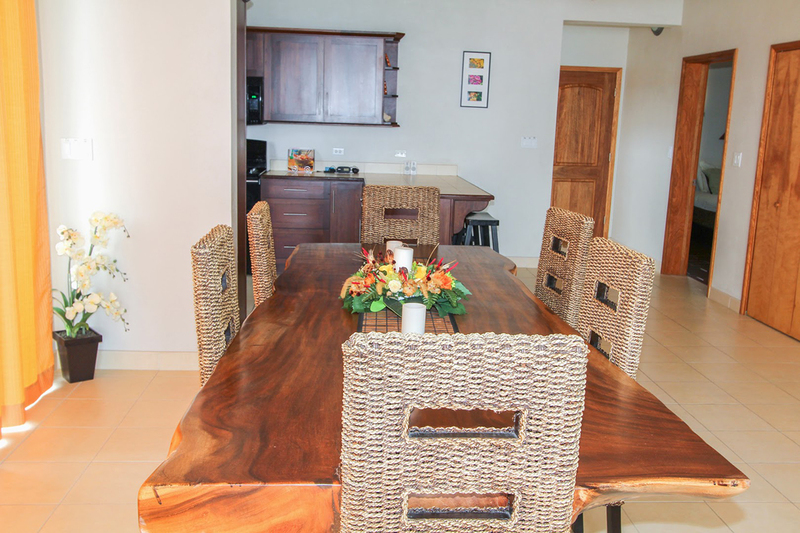 The upper level 2 bedroom penthouse is currently available as a vacation rental. 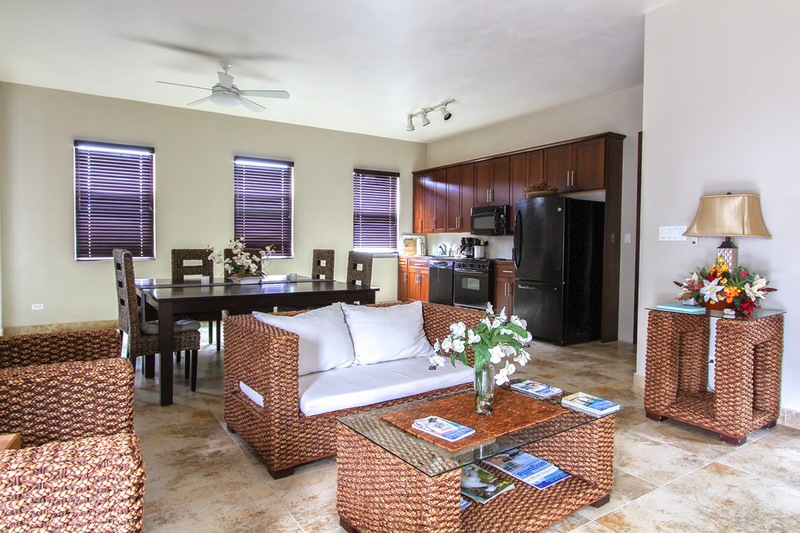 In addition to the villas luxurious accommodations guests rave about our signature complimentary welcome package with a week’s worth of light lunch/breakfast food, as well as juices, sodas, beer and wine. 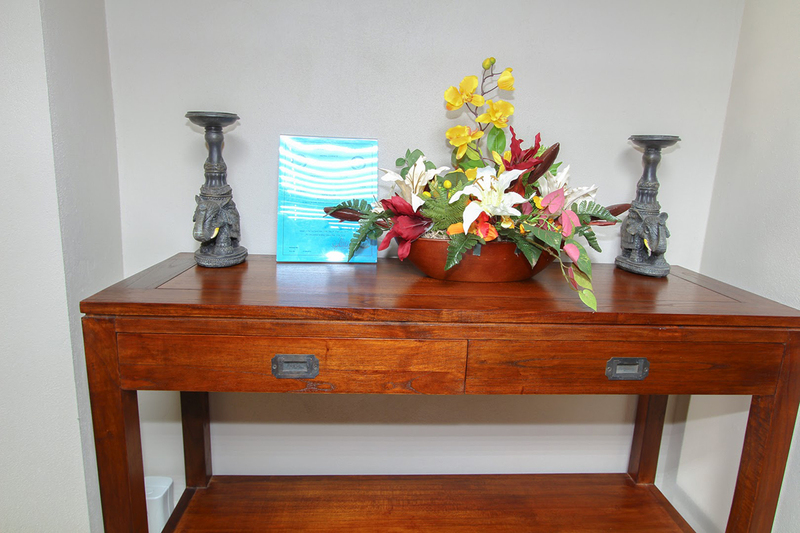 Guests describe the service provided by the owner as “above and beyond expectations”, “going all out” and “most gracious and helpful. 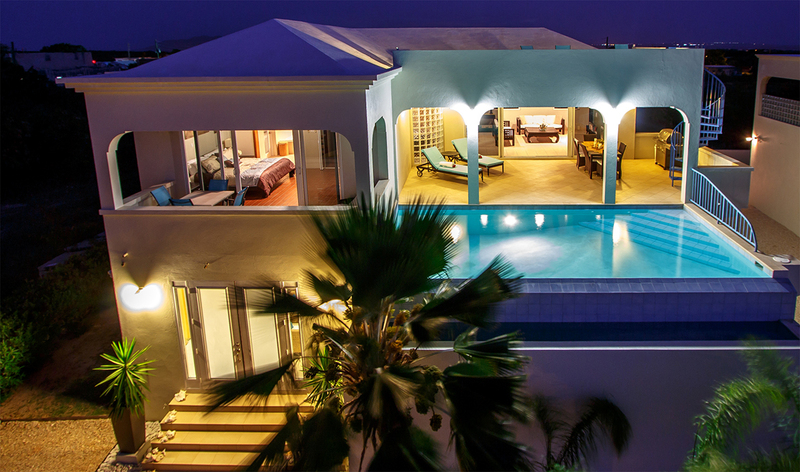 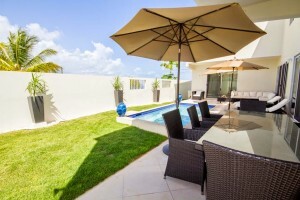 Topaz Oceanview Residences is a true Anguilla gem, an exceptional combination of luxury, service and value. Experience the honeymoon of a lifetime in your private, gated villa featuring the best view in the island bar none and all the amenities including a spacious upper level lounge which rolls into the pool deck and an infinity pool that appears to melt into the sea below. 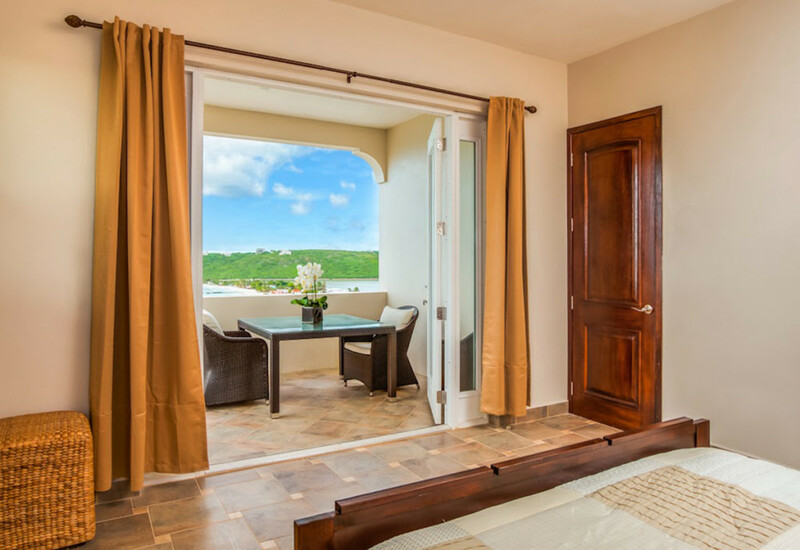 We provide you with a signature bridal welcome package featuring food, beverages, wine, champagne and flowers to start off your vacation the moment you walk in the door. There is a boutique hotel up the street that can comfortably accommodate your wedding party. 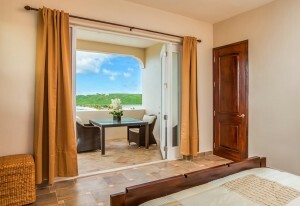 Five star reviews from our guests applaud the beauty of the property, the top notch service the great view. Our central location provides easy access to superior dining, beaches and watersports. 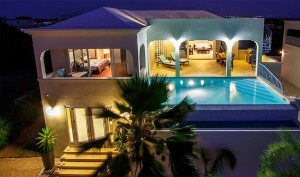 Look no further for your dream Anguilla honeymoon. 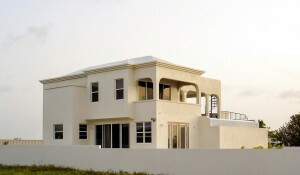 3,500 sq. 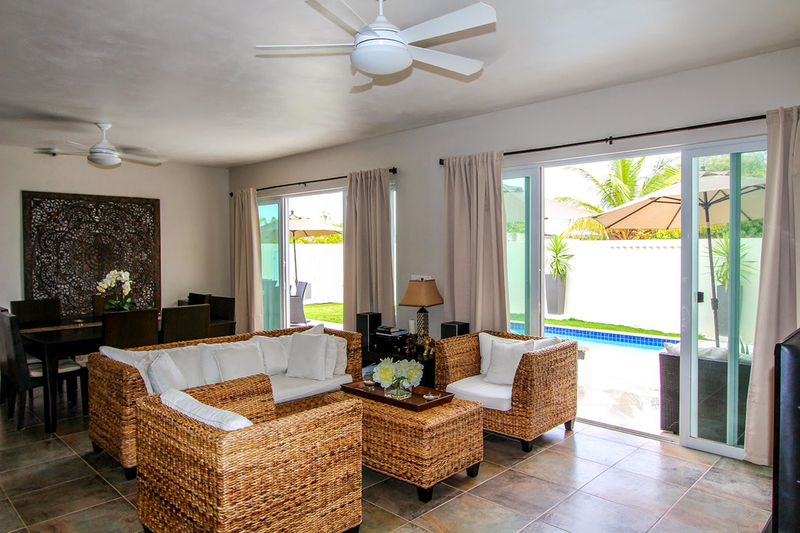 ft. 3 bedroom resort home features upper level infinity pool, authentic Thai design, furnishings and art and truly unequaled 360 degree views. An upper level sun/spa deck to sunbathe and relax on tops off this property which offers the ultimate in luxury, quality and value. 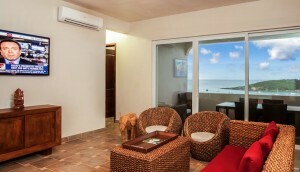 5,100 sq. 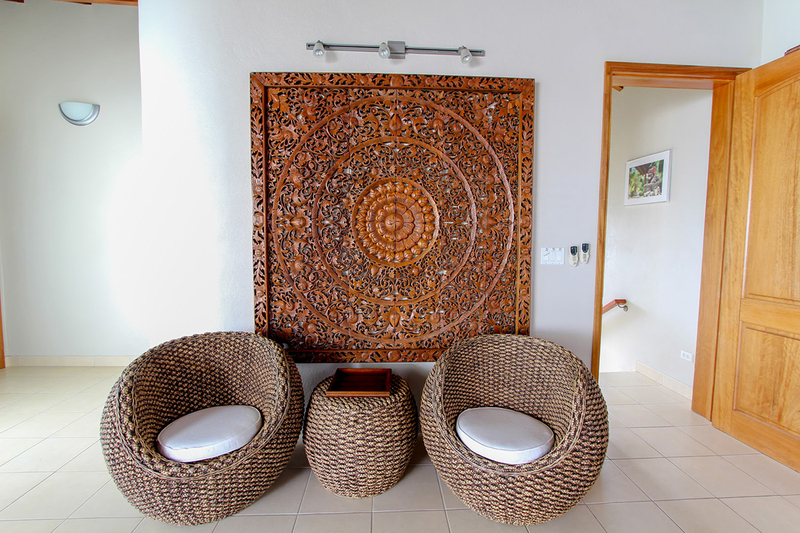 ft. 4 bedroom resort home with spectacular indoor/outdoor living featuring Southeast Asian design and furnishings fuse with nautical Caribbean art. A spacious outdoor deck and heated plunge pool provide perfect setting for relaxing and entertaining. A separate entryway allows the back 2/3rds of the upper floor to operate as a self-contained penthouse apartment with great views of St. Martin. Features spectacular indoor/outdoor living. 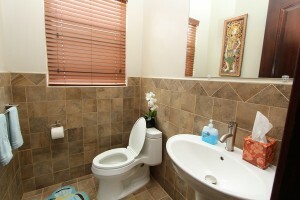 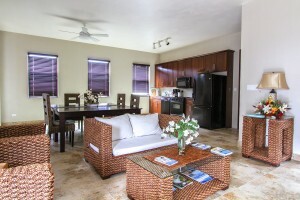 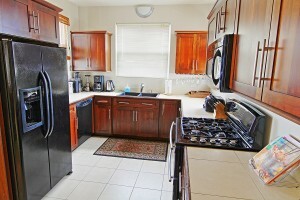 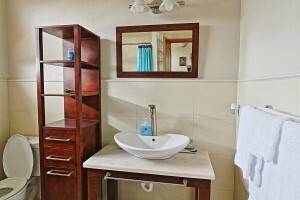 The upper level 2 bedroom penthouse is currently available as a vacation rental. 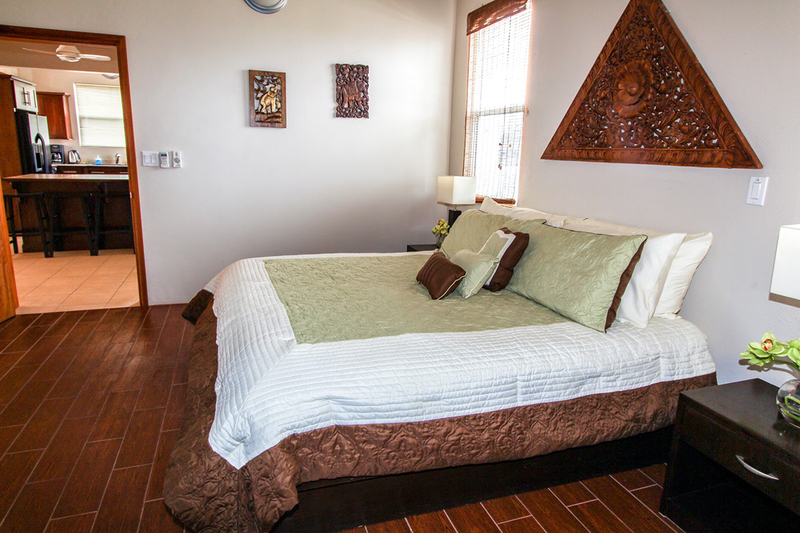 Copyright © 2014 Topaz Oceanview Villas.